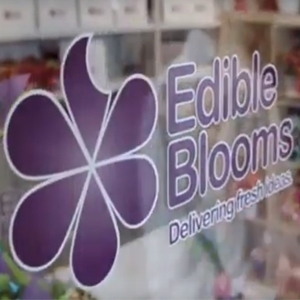 Edible Blooms is a National gift company offering a delivery service New Zealand wide. North Island is a next day (weekends and holidays excluded) and South Island takes three days. RD addresses you need to allow a week. 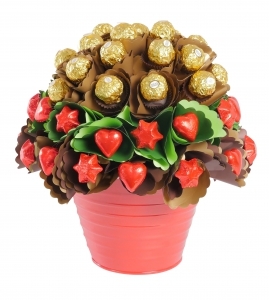 Great gift ideas for men and women with a product range that includes gourmet chocolates and fresh fruit. 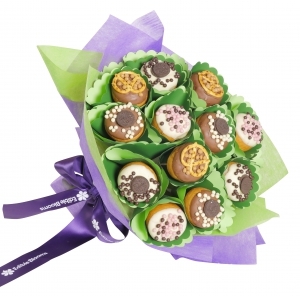 Our blooms deliver a delicious experience and a smile so that you look good Monday to Friday delivery. Arrived on time. My sister-in-law was absolutely thrilled, being a chocoholic!! Great presentation. A bit expensive though. I sent this beautiful arrangement of edible chocolates to my sister-in-law for her 70th and she absolutely loved them! Thank you for making her day and for getting them on her big day! Very easy to use website. However the delivery date on the website said 12/6 and they were not actually delivered until 13/6. It was a very last minute order so I am okay with this but please be careful about promising delivery and then not following through. 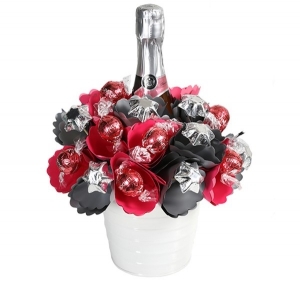 Ordered from Uk for friends in NZ ... order delivered in plenty of time for their special occasion and they looked perfect on the picture they sent me, thank you direct2florist. Thank you for your easy communication and early delivery. My friends were delighted. I couldn't have asked for an easier and more stress-free transaction! 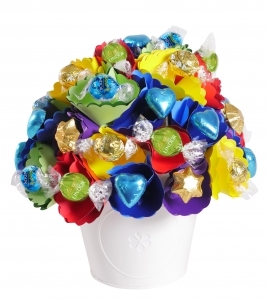 Everything worked out perfectly and the 'bouquet of chocs' was even better than they looked on the website. I seriously couldn't fault the service in any way. Top marks from me, I'll definitely be using you again! Great personal service - they contacted me personally before accepting my order to advise me they could not deliver the day I was requesting...really appreciated this. My best friend was in absolute awe at the beauty of her bouquet. This was an international order so I was very pleased to hear the results were better than I expected. Thank you to Edible Blooms who were very helpful and pleasant to deal with when I made enquiries. 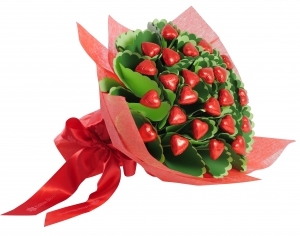 "Direct2florist.com - this website is now in my favourites. Thanks to everyone. I made my order from Argentina, and It worked great, really simple. The gift was really nice, and nicely wrapped. They delivered with no problems. Sarah Bruce is a great person to comunicate with and she guided and replied all my questions really nicely. 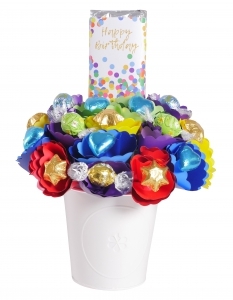 The Happy Birthday bouquet can be delivered anywhere in New Zealand to make the Birthday day extra special. 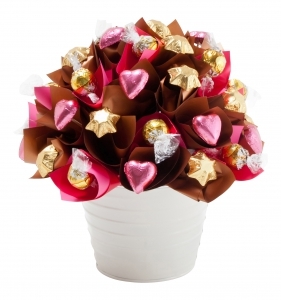 Say it with flowers AND chocolates this Valentine's Day with this gorgeous bouquet comprising of 24 creamy Belgian milk chocolate hearts! Simply stunning. 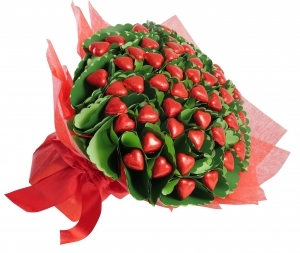 Auckland and North Island delivery is overnight, South Island delivery takes 2 days. Rural delivery address allow upto 7 working days. 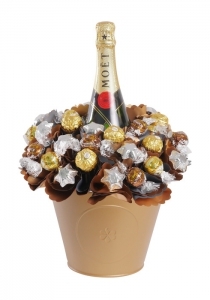 Moet and chocolate delivered New Zealand wide. 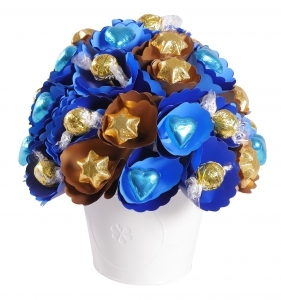 Chocolate flowers delivered New Zealand wide. 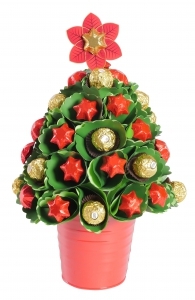 Recipe Selection of 15 chocolate Lindor Balls 15 solid Chocolatier Belgian chocolate stars Keepsake White Bucket Complimentary gift wrapping and gift card Auckland and North Island delivery is overnight, South Island delivery takes 2 days. Rural delivery address allow upto 7 working days. 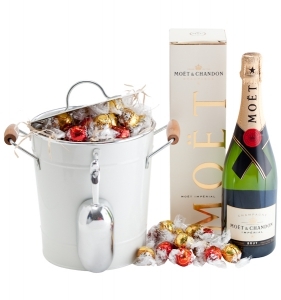 Moet and chocolates delivered New Zealand wide.